How Can I Used LinkedIn to Look for a Job? If you’re a working professional or recent graduate, chances are you know that you could be using LinkedIn to look for a job. This business-oriented social networking site boasts 259 million users in more than 20 countries. But even if you have a profile, you may not be using the site to its full advantage during your job search. Read on for tips and tricks about using LinkedIn to look for a job. Your LinkedIn profile serves as an online resume or curriculum vitae, so make sure that you’re putting your best foot forward as it is the first impression for employers and recruiters that find you on the site. Highlight your skills, use an attractive, professional profile picture, and make sure that all your experience and education information is correct and up-to-date. When you search for jobs through the site, you can often apply directly using your profile, so it’s a good opportunity to shine. Experts say that networking is the best way to find a new job. To that end, make sure that all of your relevant professional contacts are part of your LinkedIn network. When you begin job searching, email a personal message to key contacts in the industry to let them know you’re looking for a new opportunity and you’d appreciate being kept in mind if anything arises. Being proactive can increase your chances of finding a job more quickly, especially if you work at building relationships with your contacts on an ongoing basis. Depending on your field, an online portfolio can really help you stand out. LinkedIn allows you to upload photos and files, so that you can highlight your best work all in one place, as well as post links to relevant news stories and articles. Think of the site as a repository to show off the results you’ve achieved in your career. Joining applicable professional groups through the site and contributing to their content in a meaningful, intelligent way can help get you noticed by recruiters and employers. Consider alumni groups from your alma mater, professional associations for your industry, and other groups that apply to your personal career situation. You should also connect with companies you’re interested in targeting so that you can see if they are posting jobs, writing about changes, and keep abreast of important news. 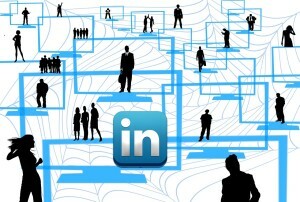 For more about using LinkedIn to job search, visit the company’s blog. Also, CIO magazine, a leader in the information technology field, provides step-by-step screenshots about how to update your LinkedIn profile. When using LinkedIn to look for a job, remember that everything on the Internet is fair game for employers. Make sure that other social networks you use, such as Facebook and Instagram, only reflect images of you that you’d want to show to a potential employer. While the current job market is quite competitive, using social networks can give you a leg up, and using LinkedIn to find a job is a great way to start taking advantage of everything social media has to offer.